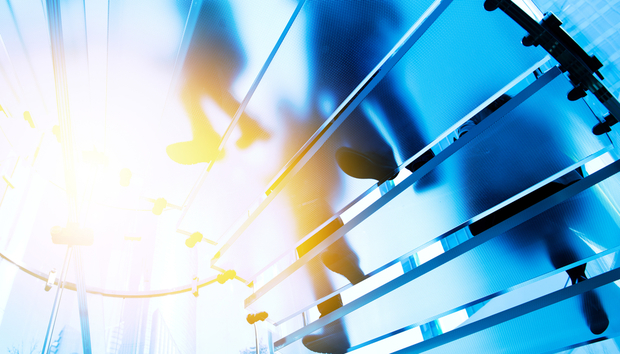 How can next-gen CIOs create new paths to success? The role of the CIO has changed immeasurably since I started working in tech some 20 years ago. The IT department is no longer here to ‘keep the lights on.’ Instead, the CIO is now Innovator in Chief, disruptor extraordinaire, and driver of change. This shift is down to the rapid change in the way tech is perceived in many organizations and the demands from a generation used to the mobile consumer experience — it has become a core enabler to the business, rather than a nice to have. What’s more, with breakthrough capabilities enabled by new technologies such as AI and big data, a growing shortage of available developers, and an increasingly tech-savvy business user, the role of IT — and the CIO in particular — is morphing into one of strategic advisor to the business and driver of innovation within the company. But how can IT leaders manage this digital transition and take advantage of rapidly emerging opportunities? Discussing this question with customers, colleagues, and partners, I’ve come to the conclusion that there are three things IT leaders need to do to thrive in this new environment. The rise of the next-gen CIO and their success can be put down to a number of factors, but one of the biggest is ensuring the IT function is commercially oriented. Today’s most successful CIOs are setting up their departments as profit, rather than cost, centers. CIOs must have a greater understanding of the business case for any new programme or tech-focused initiative. Only by understanding the wider business strategy and objectives can CIOs understand how to prioritize IT projects that best serve the customer and grow the business. It’s therefore a key part of the CIO’s role to ensure IT is involved in all decision-making processes and to establish themselves as a partner within the business. Ocado’s CTO Paul Clarke is a case in point. When it comes to instilling long-term change, Paul sees the mission for his division, Ocado Technology, as fueling innovation and entrepreneurial spirit throughout the business. This ensures that technology decisions and initiatives are powering the commercial and strategic needs of the company. Technological change is also forcing large companies to find new ways of working. Shell, for example, is facing market disruption from new types of competitors, which are changing the way the market trades and buys fuel. The company can’t afford to stand still and watch the world change around it. As a CIO, one way to discover new ways of working is to unlock the data sitting within the business and turn that ever-growing pile of data into opportunity. Embracing a cloud-based system of engagement is no longer just about delivering a 360-degree view of the customer. It also enables end users to slice and dice customer data for actionable insights that help them see opportunities for new ways of working such as building apps to help run the business. In the case of Shell, the team are using data analytics, big data and artificial intelligence to make better decisions internally. For example AI is being used in the analysis of the huge volumes of information created in the day-to-day running of Shell’s plants, helping the company to become more profitable. Shell also uses AI to improve the customer experience and to keep ahead of the competition. For example the Shell Connected Car Open API can analyze user behavior and offer customers tailored convenience and loyalty rewards. The platform helps Shell predict what a customer might want so that when they arrive at one of their retail sites they can immediately send an offer to their phone such as a discount on food and drink. It’s not just businesses looking for fresh ways of working. Customers too are looking for innovative ways to make their lives easier. Our recent State of IT report shows customers are not simply looking for differentiation — they seek disruption. And they’re giving their loyalty (and business) to companies that are looking at new ways to do things that make their lives easier – whether it’s booking a place to stay with Airbnb or ordering tonight’s dinner via Deliveroo. Technology has also changed what customers expect from the brands and companies they interact with. An overwhelming 70% said technology has made it easier for them to take their business elsewhere and a further 58% agree it has 'significantly changed' their expectations of how companies should interact with them. CIOs therefore need to focus on deploying new workflows and technologies that help their business deliver a convenient — and disruptive — experience to customers. CIOs today should also look at applying these same principles to their employees. After all, it is employees who serve on the front lines of customer service, act as brand ambassadors, and are ultimately responsible for the organization’s success. If a company wants employees to make a meaningful contribution, it needs to invest in and treat employees as if they were customers. « Research: What are the big concerns for CISOs?